It's the best thing we've never had. Beyonce is one of the most well-known female superstars on the planet, but her Snapchat is decidedly more elusive. Much like fellow global megastar Drake, it was widely assumed that Bey didn't have a Snapchat account. Recently, however, material has surfaced that may suggest otherwise. Beyonce and her daughter Blue Ivy seem to be loving Snapchat's famous filters, with various images and clips mysteriously popping up on Bey's Instagram. And while don't have a username yet, we've put together a few of clues that we do have. 13th August 2016: Bey's mother Tina Lawson reposted a Snapchat video of Bey face-swapping with her. 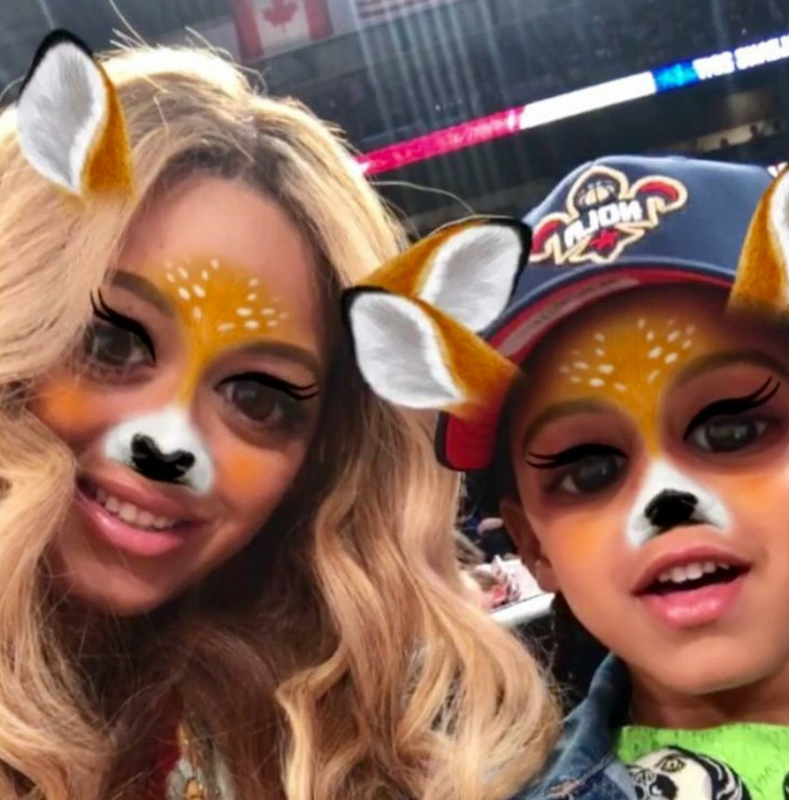 24th February 2017: Beyonce posted a selfie with Blue Ivy on Instagram; both were wearing the famous Snapchat deer filter. 19th March 2017: Bey hid a number of filter-filled Snapchat videos in this Instagram clip, also featuring Blue Ivy. We need that username, B.